Residential - Single Family - Marathon, FL Must see picture-perfect Keys retreat with 4 bedrooms and 3 1/2 bathrooms, travertine and marble flooring throughout, quartz countertops, bi-level wrap around porches, all impact windows and doors, foam insulation, heated saltwater pool with a spa that can be enjoyed year round, a 15k boat lift, chickee hut for outside entertaining and a large storage/workshop for all your toys. Property has been completely remodeled with high-end finishes, custom lighting, soft close cabinets, etc. Landscaping is low maintenance while still tropically lush, quiet and private! 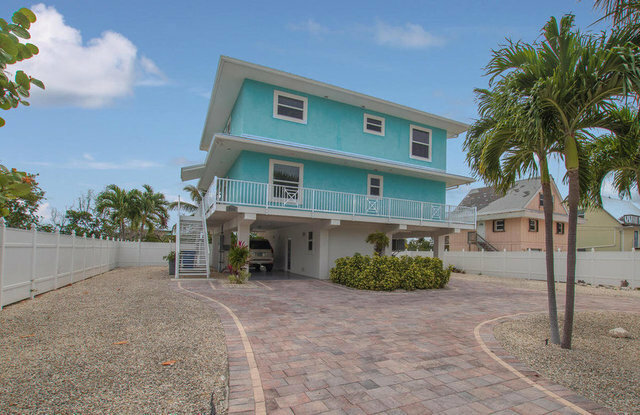 Quick and easy ocean access from the canal with open water views, all less than a mile from Sombrero Beach!